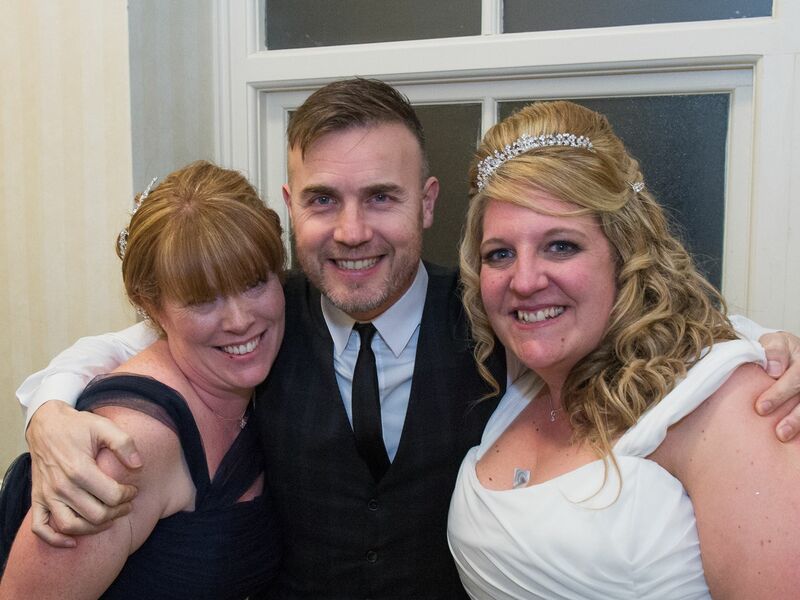 Two down, one to go as Gary Barlow completes his promise to sing at 3 superfan’s weddings in 2015. Earlier this year Gary Barlow started a Twitter campaign for three lucky fans to win the chance to have the former Take That star perform at their weddings. 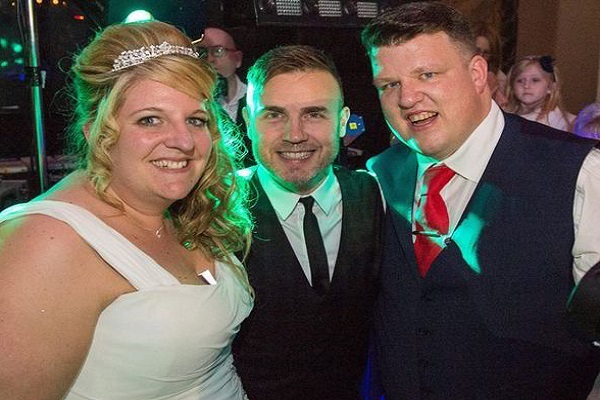 The campaign came about after one super fan’s best friend and maid of honour pestered Gary Barlow for a year with the #getgary2louswedding hashtag in 2014. Well he must have enjoyed himself because the singer has already flabbergasted two lucky couples this year! 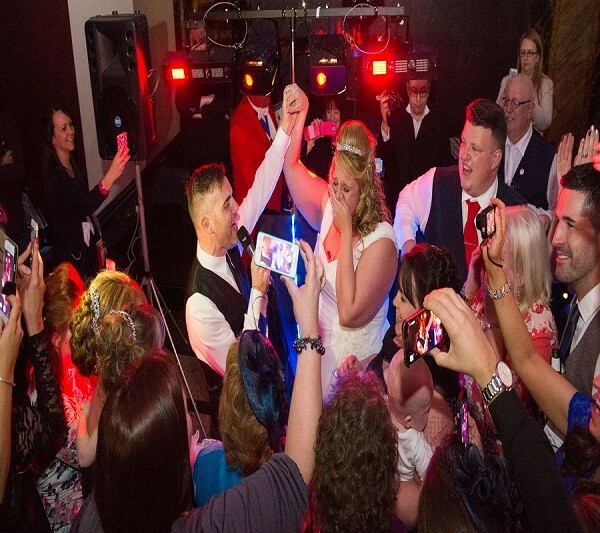 After making the promise in January, Gary surprised Sarah Hensley and her brand new husband at their wedding reception last month and then again at a wedding on Good Friday! Barlow turned up at Danielle Jones’ wedding over the Easter break in Berkshire. 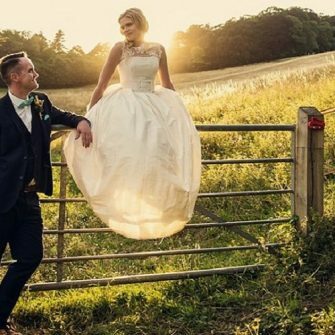 Although the singer was touched by Danielle Jones’ appeals to have him perform at her wedding he replied to her efforts saying that he was out of the country on that particular date in order to keep the Bride in the dark! Barlow secretly contacted the Bridesmaids saying, ‘let’s do this’ but urged them to keep his pending appearance a secret. Bridesmaid Kirsty said; ‘It was the hardest thing to keep it from Danielle when she was clearly so gutted from it.’ Kirsty also a diehard Take That fan has booked to go and see the band in their world tour with Danielle five or six times this year. Following the couple’s first dance, Gary popped up to serenade the happy couple with a rendition of Take That’s hit, A Million Love Songs. 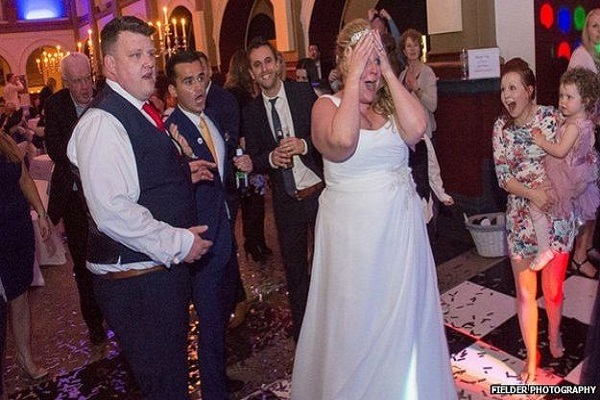 Speaking to Get Reading, Bride Danielle said that she planned to put her son to bed after the first dance and had asked the DJ not to play any Take That until after she returned! The beautiful Bride described being annoyed momentarily until she turned around and realised who was singing the song! 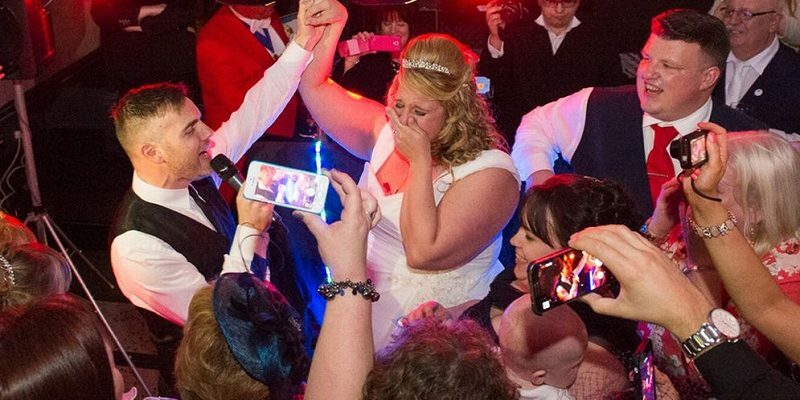 “I was so overcome with emotion, I was having difficulty breathing” said the bemused Bride. 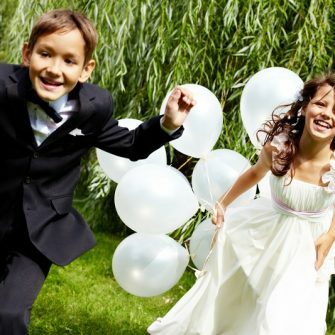 So will your wedding be next? We can’t wait to see where Gary Barlow’s final surprise will be! « Which celebrity has been spotted with a black engagement ring? 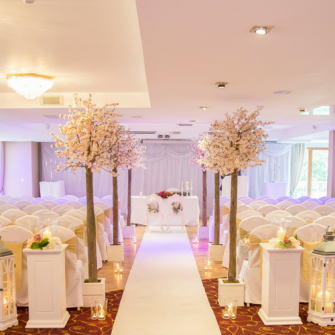 Northern Ireland couples can’t wait for weddings!